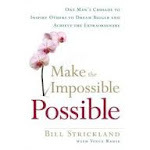 While reading Bill Strickland's ‘Making the Impossible Possible’, an engrossing memoir of one man's successful quest to change lives, I, as usual, took copious notes on my Kindle. In this story of the Manchester Craft Guild and Strickland's inspirational tale of 'living the dream', the reader discovers how a simple lump of clay sent him on his way to an amazing life, and amazing lives for others. Strickland's life story is extraordinary. His belief in creating beautiful things to enhance the lives of those who may not experience anything anywhere near beauty resonates very strongly. The power to create wonderful ceramics, to grow orchids, to play amazing jazz allowed individuals with low expectations in life to completely turn around their worlds and make a success. What a refreshing reminder of the reason why education is important. Strickland not only provided amazing things for his students to make and do, he also showed them what a better world looks like. Isn't that something we should all keep in mind? If we want our children to be lifelong learners then we must show them what a learning life looks like. We must model being learners and share our thoughts and challenges and difficulties, not just tell them; we must share our strategies for overcoming difficulties, not just tell them; we must admit our confusions, that being wrong and making mistakes is okay and not just tell them. Strickland did and still does this every day of his life. 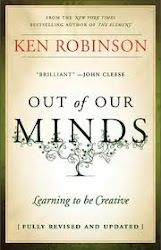 I have finished the school year now and this book has both enthused me and reminded me that all learning is wonderful. I’m delighted to have a few weeks off but am already mentally preparing for next year. 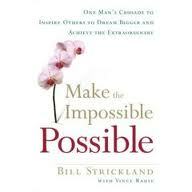 Strickland’s book has inspired me to provide great lessons which are more active for the pupils than they are for me. Let them do the work and watch the magic happen. If I have learned one thing this year it is exactly this; nothing should be ‘beyond our reach’. Our children deserve every learning opportunity we provide. This is a book which will stay with me for some time. Teachmeet - What Could Possibly Go Wrong?